Perfect for mixing and mastering, EQuivocate's auditory filters and match EQ functionality make it incredibly powerful, simple to use, and natural sounding. Use EQuivocate’s Match EQ feature to make the sound of your track match or complement the audio signal streamed to its sidechain. You can also use it to make a final master match the tone of a reference track, or help fit a sound into a dense mix. Unlike other match EQ plug-ins, EQuivocate provides a transparent match without trying to model imperceptible differences which can cause a match EQ to sound unnatural. Feed your favorite song or individual track into it and instantly morph your tone to match. Humans can only detect the presence of a tone if it is a certain distance from another tone playing at the same time. The Mel Scale defines the arrangement of auditory frequency bands such that each band sounds equally spaced from all others. This division of sound describes how humans hear. Most graphic EQs are IIR (infinite impulse response) or analog-style filters. These have a lot of great properties, but unfortunately the shape of an IIR filter isn’t very flexible. For instance, even with every band set flat, the total filter shape isn't actually flat. Furthermore, when you boost or cut each band you're effecting the ones next to it, as well. EQuivocate uses a linear phase FIR (finite impulse response) filter that doesn't have these problems so what you hear is true to what you see on the screen. Instead of using what DSP engineers call "ideal" rectangular FIR filters, these are triangularly shaped filters. These are often used in hearing models as a first approximation to the critical bands in your inner ear. When you shape filters like the ones in your ear, the filtered signal sounds natural. In a complex signal, at any given time, you can really only hear one sound source in each filter. EQuivocate’s 26 bands are spread out based on the critical bands of the inner ear. More filters wouldn’t be useful since your ear would just average them together. 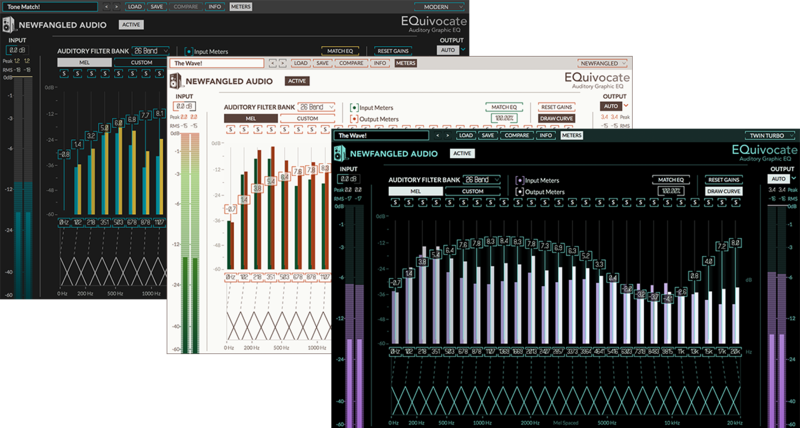 As a result, EQuivocate simply sounds more natural than any other EQ on the market. 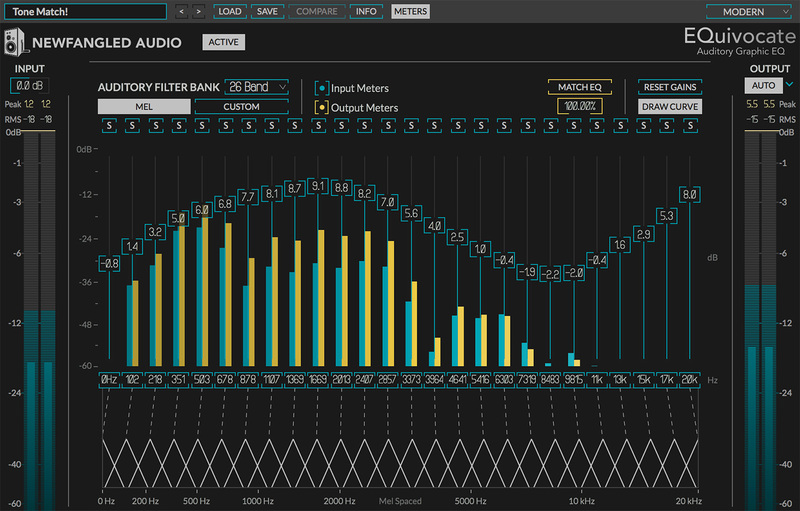 Thanks for this great eq, the transient clarity of this linear phase eq is the best I've heard ever. In a short time, I've become fascinated with the simplicity of EQuivocate and the results I get from what's happening under the hood. The other night I was thinking of how to zero in on problem frequency areas by simply decreasing the number of bands, and increasing them until I find the culprit(s), and season to taste! Bomb! I am very impressed with your products. EQuivocate comes with 3 different color variations.